You confidently tell your interviewer that you have a Learning Plan designed by industry experts that will make you a virtualization expert. Sure, it might not happen in five years, but that’s your end goal and you have a clear path to get there. Our team of curriculum and IT experts recently designed a Virtualization Skills Learning Path to help you answer this question — and then reach those goals with education and training. One of four Learning Paths, the Virtualization Skills Learning Path outlines the most relevant courses from the CBT Nuggets library into Learning Plans for three current skill levels — Fundamental, Associate, and Expert. Read our blog post about how to select and use your Learning Paths and Learning Plans. Start where you feel comfortable, go back and review, or skip ahead to the future. These self-paced Learning Plans are resources to make sure you’re on track with your career. The Fundamental Learning Plan explores virtualization concepts and how you can best leverage them. You’ll be training on VMware, Docker, server fundamentals, and Linux (to conquer the CLI). For many years, the role of the IT professional has been to look after specific physical servers. With virtualization, the burden and dependence on hardware can now be abstracted. You’ll be ready for the Associate-level Learning Plan once you’ve mastered containers, the virtualization of application workloads, and how the cloud can help scale virtualization beyond the enterprise data center. Ready? See the Learning Plan. The Associate Learning Plan delves even deeper into the management tools and techniques for the server platforms you administer, including proactive monitoring and script-driven management. Along the way, you’ll get into intermediate virtualization courses such as VMware vSphere 6, Microsoft Azure 70-532, and Google Compute Engine: Qualified Developer. These curated video lists will help you develop an understanding of the tools and techniques necessary to get the most out of virtualization in your environment. and then you’ll be ready for the Expert level. See the Learning Plan. If you’re ready for the Expert Learning Plan, you’ll dive headlong into designing the complex virtual environments that you’ve been managing up to this point. You’ve already built up the Fundamental and Associate skills, now you’re on track to become an architect or senior engineer. At this point, you’re diving into VMware Horizon 6 (with View) and Microsoft Azure 70-533. From containerization to hypervisors, from hybrid cloud strategies to storage virtualization, you’ll be adept at architecting and designing virtualized environments. See the Learning Plan. Every Learning Plan starts with the introductory-level course, which include the CompTIA A+ and Network+ course videos, and a series of high-level courses designed for a brand new IT professional. If you’re already specialize in virtualization, you can jump right into the Fundamental, Associate, or Expert Learning Plans to steepen your career trajectory. So, the next time you’re sitting down at an interview, you can tell the person across the table that you have a training plan to get your skills to the expert-level. The timeframe is up to you. 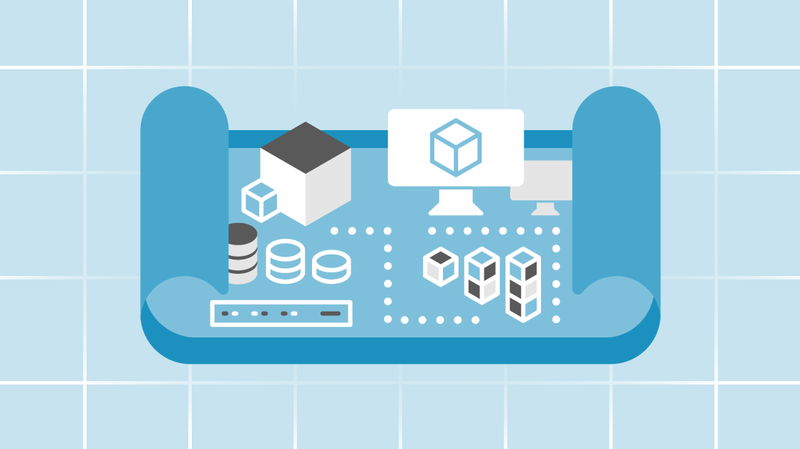 Get started with your Virtualization Skills Learning Path today!